Continuum Home Health care Connecticut-based home programs for speech therapy help patients of all ages cope with and recover from speech, language and swallowing disorders. Our courteous and professional speech therapists work with patients and caregivers to improve swallowing techniques and communication skills such as speech and non-verbal communication such as reading and writing, facial expression, gestures and sign language. Our goal is to teach skills and techniques that enhance the patient’s skills even after speech therapy is complete. Working closely with your physician’s directives, our speech therapists will assess your swallowing and communication skills and provide counseling to create and implement a home care treatment plan, including specific goals for recovery. Speech therapists (also sometimes called speech and language therapists) are licensed professionals who address patients’ speech, swallowing, and language difficulties through speech therapy. Depending on the nature and severity of the disorder, treatments may include physical strengthening exercises, instructive or repetitive practice and the use of audio-visual aids. For patients experiencing difficulty swallowing, therapy may include exercises, suggest different eating positions, or recommend dietary changes. For patients suffering from with dementia, a speech therapist may address communication issues by training patients and caregivers to use written reminders, repetition and a variety of other techniques. Speech therapists often consult with a variety of other professionals, such as physicians, skilled nurses, educators, social workers, occupational therapists and physical therapists. 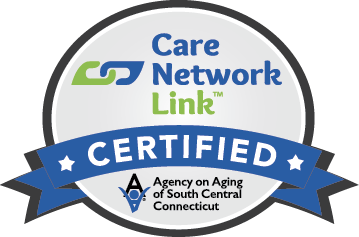 Continuum Home Health Connecticut-licensed speech therapists have completed an approved program in speech pathology and have at least three years of clinical experience in speech pathology. 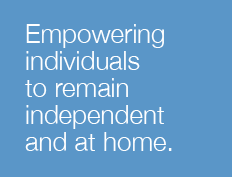 At Continuum, we are committed to the empowerment of our clients and their families. As part of our company’s mission, our speech therapists promote well-being and self-respect by helping our patients maximize their day-to-day independence. When does a home program for speech therapy make sense?